Television presenter, radio host, MC/facilitator. Born and raised in Perth hills, Carmen started her career as a producer/newsreader at 6PR and 92.9. She was an announcer-copywriter in WA and won audiences across Victoria for five years as host of the Ace Radio Network’s breakfast show before being named the Gold Coast’s best news presenter (TV and radio) for her work on Sea TV. Moving back to Perth Carmen then became co-host of 96fm’s highly successful breakfast program team ‘Carmen & Fitzi’ for 7 years. 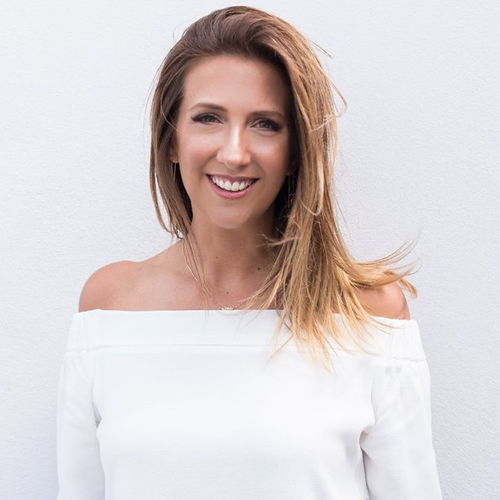 She currently co-hosts the weekend breakfast program on Radio 6PR and is involved in local and national TV appearances and regular high profile work as an event MC. Host – ‘Carmen & Fitzi’ – maintained Perth’s highest Time Spent Listening (TSL) 2015-2017. Host – ‘Blackers, Carmen & Fitzi’ – part of the team that took 96fm to number one, three times 2012-2015. Newsreader on Southern Cross Austereo’s Sea FM, Gold Coast, Queensland 2009-2011. Co-host – Ace Radio Network, across regional Victoria 2003-2007. Regular contributor – The Pulse, Nine Live Perth. Host/presenter/writer – Destination WA, Nine Network. Perth presenter – The Today Show, What’s on Australia Day..
Perth presenter – Metro Whip Around on Channel Ten’s The Project. Telethon panellist/ Phone Room host – Seven Perth, annually for past 7 years. Host presenter/ ‘Discover Boating’, one hour special, Seven Perth. TV newsreader – Southern cross Ten ‘Sea TV’, Gold Coast. Best newsreader, Radio & TV, Gold Coast Media Awards. Australian Commercial Radio scholarship to attend NAB Radio Show, Charlotte, North Carolina, USA. Part of the team that took 96fm to Number 1 for the first time in 20 years. Best On Air team (Country), Australian Commercial Radio Awards. Best Music Special (Country), Australian Commercial Radio Awards. 2019 Local Government Professionals Australia Finance Conference. Local Government Professionals Australia 2018 Professional Development Conference. Chamber of Commerce & Industry of WA 2018 Wellness for Business Conference. PRIA (Public Relations Institute of Australia) Awards. 2018 WA Sports Star Awards at Optus Stadium. Landscaping Industry Association of WA 2018 Awards. Opening of Perth Arena – official welcome to Sir Elton John. HBF Run for a Reason – 4 years.